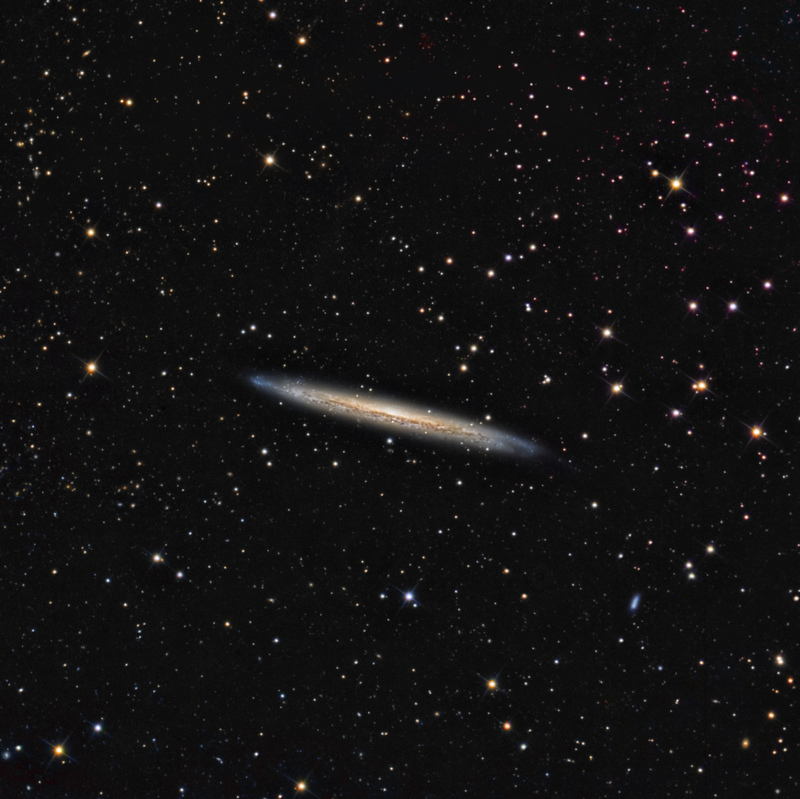 The Splinter Galaxy, NGC5907, is an edge-on spiral galaxy in Draco about 39 million light years distant, It has an apparent magnitude of 10.3 and diameter of 12.3 arcmin. There is a claim from work done at Kitt Peak of a dark matter halo around NGC5907 based upon how fast observed light dissipates with distance from the galaxy. They claim that the dark matter halo is flattened and has an axis perpendicular to the galactic disk. Other reports show the discovery of PAH. polycyclic aromatic hydrocarbons, in this halo. This image is approximately 35 arcmin square and the plate scale is 0.7"/pixel. North is to the right.